There are many activities to pass the time during your stay at Grafton City Campground. 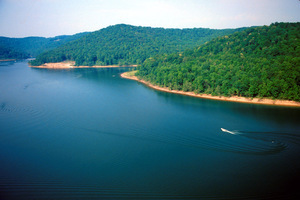 Tygart Lake offers many welcome distractions including boating, fishing, bicycling, hiking and golf. Kayak down the Tygart River with the dock access at the campground. Grafton City Campground is just a hop, skip and jump from Apple Annie’s restaurant located at the Tygart Lodge. The menu is extensive. The food is excellent and the restaurant is open year-round.